Ishan Industries manufactures and develops a wide range of packaging material like Perfume-Oil Aerosol Cans, which are useful for packing Perfumes, essential oils, and bulk fragrances. We are a top-notch organization, engaged in providing Perfume Can. In order to cater the variegated demands of our clients, we are offering an excellent quality range of Perfume Aluminium Can. NOTE Price Can Be Change According To Product Size & Quantity. The Car Perfume Tin Can is extensively used for storing car perfume in the form of gel or liquid. It is widely applauded in the market for its moisture tight property. We are involved in offering a wide range of Perfume Can. Banking on our enriched industry experience, we are able to supply Perfume Can. We are the manufacture Aluminum Cans, Printing Aluminum Cans, Mist Spray, Aerosol Valves, Deodorant, Perfumes, and Hand Wash Dispenser Pump. Please feel free contact to us in case of any requirement. We are also equipped to design Aluminium Aerosol Cans and Aluminium Drums as per the customers drawing & specification. You can also choose from our wide range of decorative tin containers - printed or plain. These are known for their sturdy construction and impeccable finish. These containers are widely used by renowned perfume brands. Available in rectangular option. 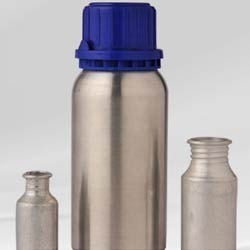 We are engaged in fabricating Aerosol cans which are known for its effectual functioning among our valued clients. These are extensively used in pharmaceutical, perfume and allied industries. Moreover, these can be easily customized in accordance with client necessity and are delivered within stipulated time frame.